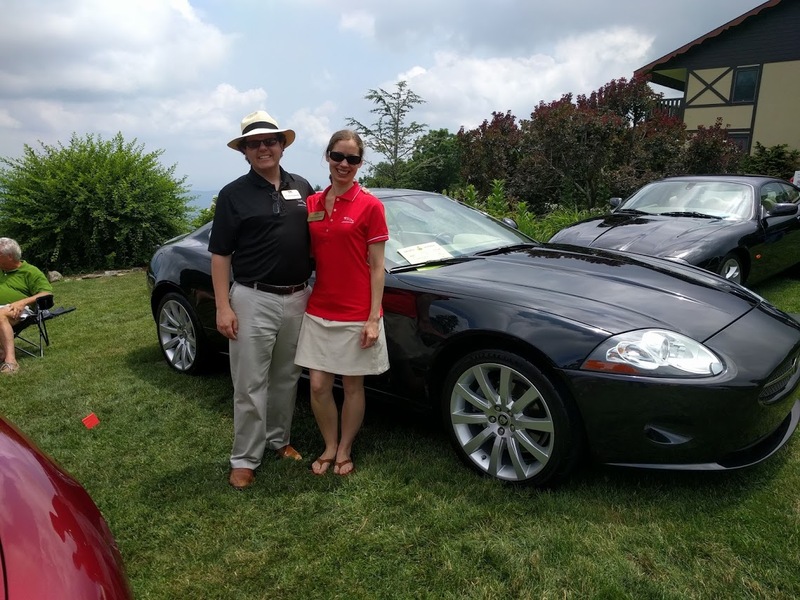 Carolina Jaguar Club members Lissie and Peter Shanahan attended their 2nd CJC Concours at Little Switzerland and had quite a successful weekend. 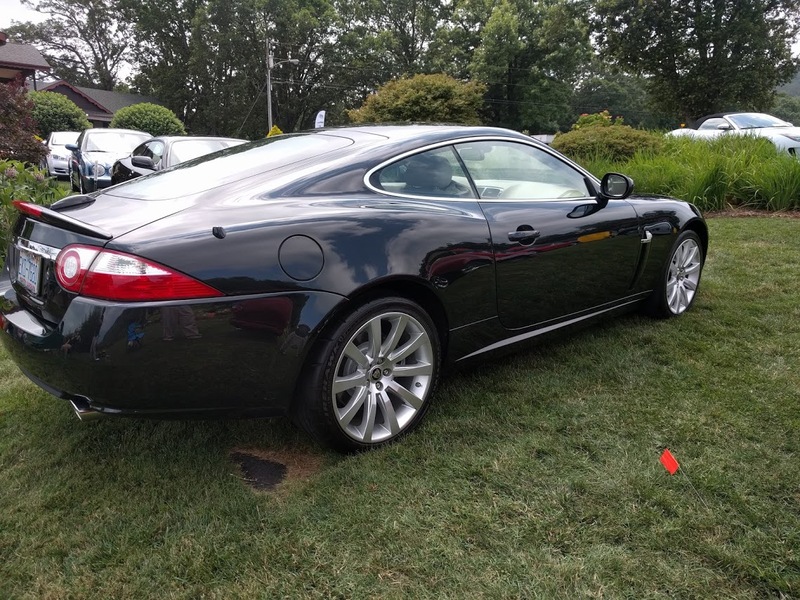 Their 2007 XK took first in class honors at the Concours. I touched base with Peter after the judging to get his back story. Lissie and Peter have been members of the CJC for about a year. This summer is their 2nd season of events. They live in Winston-Salem and are both orchestral musicians. They both play the flute and spend a large portion of their time teaching students of all ages. Peter told me that his interest in the Jaguar XK was kindled about 5 years ago as a result of seeing one featured on the British program Top Gear. The Top Gear episode made him realize that this was an absolutely striking and beautiful car. He looked into the history of Jaguar and was impressed with early cars like the XK-120 and the E-Type. He admitted that the subsequent years of producing big grand touring cars probably would not have inspired him but he loved the lines of the XK. 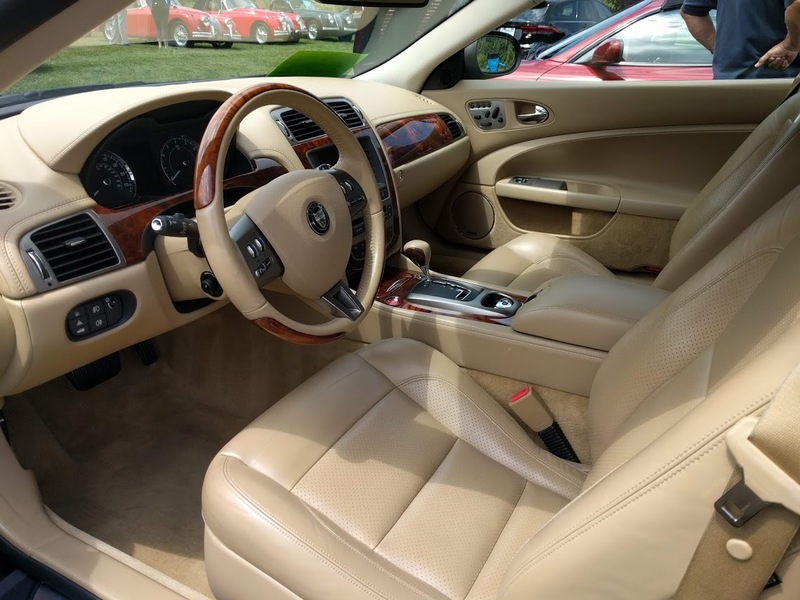 He spent several years researching the market and found the XK of his dreams. Once he had purchased the car, he figured there must be a Jaguar club. He found the CJC website, which put him in touch with Kevin and Nancy Willis, who it turned out lived less than a mile from him. They dropped by his house in another XK and soon enough, they were members. The Shanahans love their XK. It has a caramel interior with walnut burl. The exterior is Midnight Metallic. Although the car is over 10 years old, our concours judging team found little to fault with the car. It is in immaculate condition. Peter has involved himself with keeping the car in good condition and is performing routine maintenance items himself. He has found there to be excellent help both on XK related web forums and Youtube videos. He is especially proud of his efforts to avoid having to buy a new $3000 adaptive headlight unit, which had failed on his car. He instead followed advice from Youtube and purchased a used $300 unit and combined the two to make one functional headlight. Lissie and Peter are justifiably proud of their XK. It is in great condition and is fun to drive. They are looking forward to next year’s Concours at Little Switzerland.